Thank you for offering this advice to people. The process of searching, especially online, has been stressful. I am seeking a 1.5 oval cut diamond that faces up larger than the average for a 1.5 carat (ideally with a length of at least 9mm). 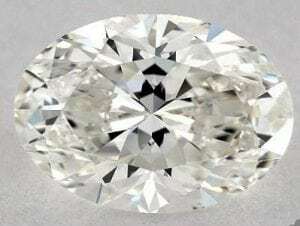 I've had some luck finding some online through various sites through rare carat but am having trouble discerning if the diamonds will have a notable bowtie (black effect) or have enough brilliance. The specifications I am seeking are an H color or above, SI1 (eye clean) or above, faint to no florescence, a ratio of around 1.4. 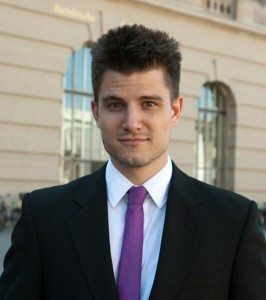 My budget, with the setting is between 10k-11k. Here is a link to a stone I found. I am awaiting an ASET image on it but there seems to be a bowtie from what I see. Unless I am hyperfocused on it. Any insight, as well as how I might find a diamond within my specs and budget would be super helpful. Thank you so much!! Thank you for your inquiry. I am happy to help. The video of the diamond makes it somewhat difficult to tell the bowtie effect. But from what I can make out it seems to be minimal. Perhaps when they provide the ASET image you can ask their opinion of the bowtie effect on this diamond. Thanks for the reply … they told me they can't locate the ASET which is weird. The guy also said it likely has one bc of its depth? I get so many different answers from the different vendors so it's all very confusing! Sometimes I wish she just wanted a round cut haha. Buying a diamond is a significant purchase, financially and emotionally. A smart shopper will do their due diligence with such an important purchase. An online diamond shopper, feels the need to go above and beyond, since they cannot see, feel, and touch the diamond in person. They go above and beyond with tools and resources, such as ASET images, HCA tool, Idealscope images, GIA Gemologist's input, etc… which aren't available in the brick and mortar stores. All these tools are helpful, for sure, however, they can lead to paralysis by analysis!! So, to wrap this up, the below diamond from JamesAllen.com is an excellent choice. It is practically Ideal. It has a 1.40 L:W ratio, which falls within the most popular ratio for an oval shape. 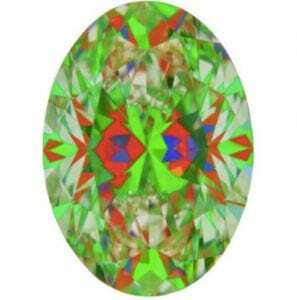 It is a “high” H color, which means it is whiter than other H color diamonds. It is closer to a G than an I color diamond. The table and depth are in the Ideal range. And the bowtie is practically non existent. 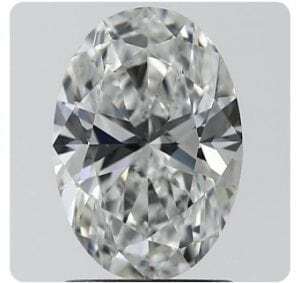 The GIA Gemologist at James Allen is correct, this is a great diamond. And I do agree with what he said about the ASET imaging machine. It is “unforgiving”. It is a machine that reads the diamond's ability to reflect light in a static position. A diamond, when worn, is always moving, light hitting it from many angles, being viewed from many directions….capturing the diamonds scintillation, which the ASET image doesn't do. You can absolutely purchase the below diamond with complete confidence. It will have the sparkle and brilliance you want an oval diamond to have. Thank you so much for that validation! That really helped!